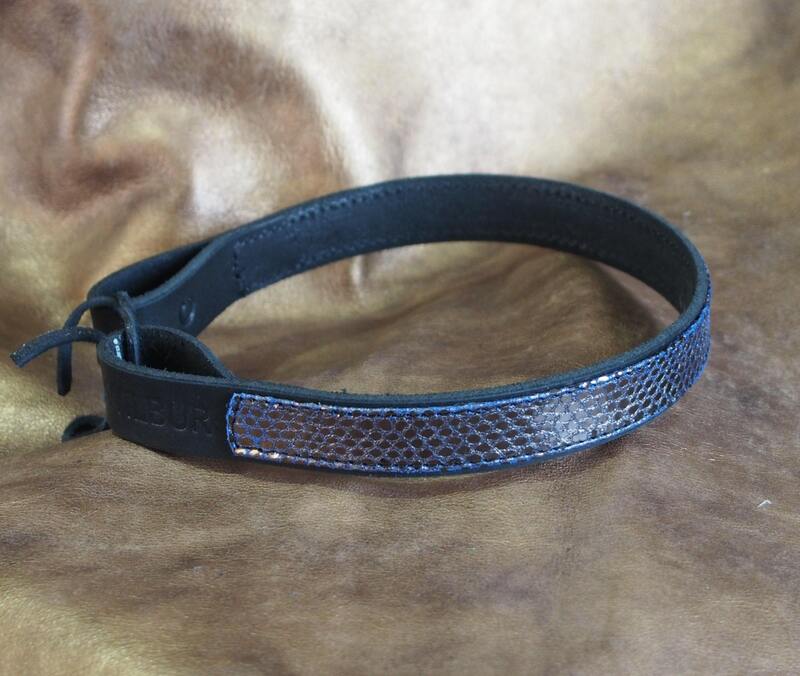 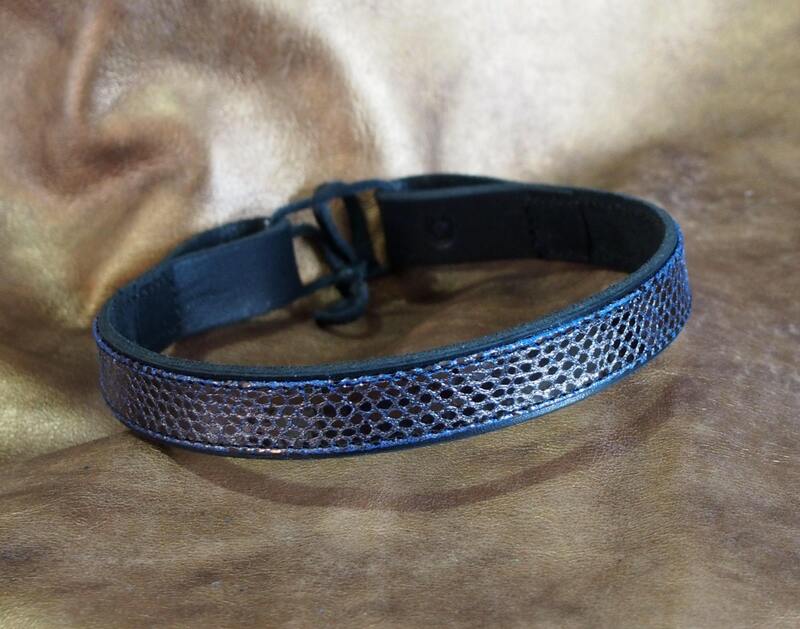 This leather dressage/show brow band is made with black cowhide main band with a top layer of a unique python inspired scales with a near mirror-like pewter finish over a blue suede, which provides the hint of blue where the lambskin is folded and ends. 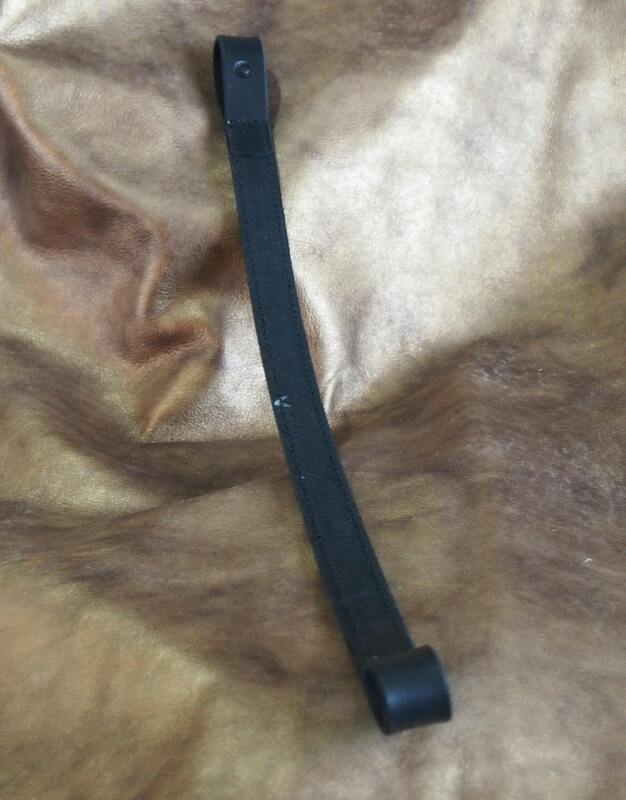 The band is top quality cowhide, 3/4" wide with slightly smaller lambskin fully glued and perimeter stitched over the top to within about 2" of the end, and all edges of the main band are beveled and the lambskin is folded for clean finish. 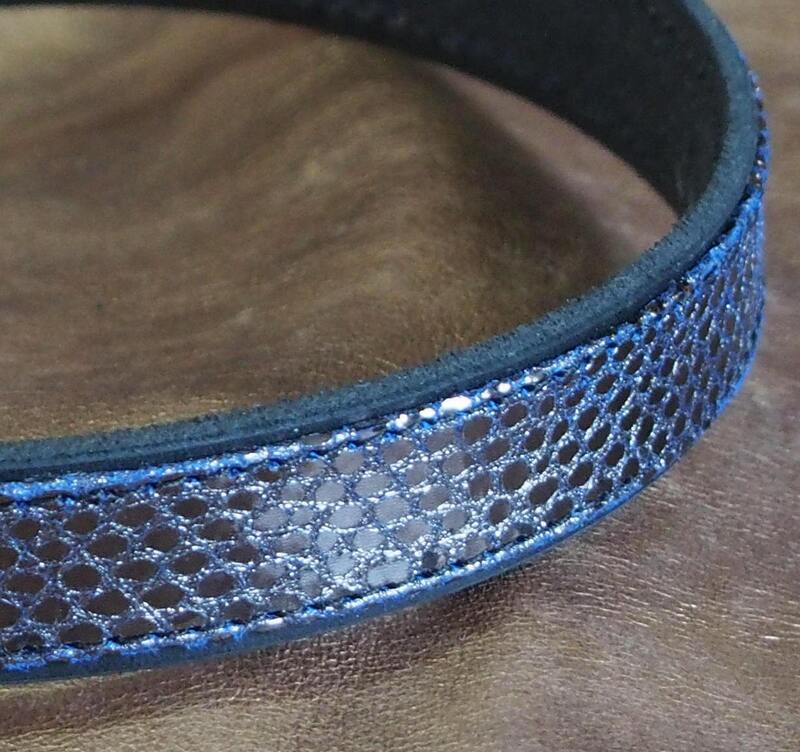 This version is not padded. 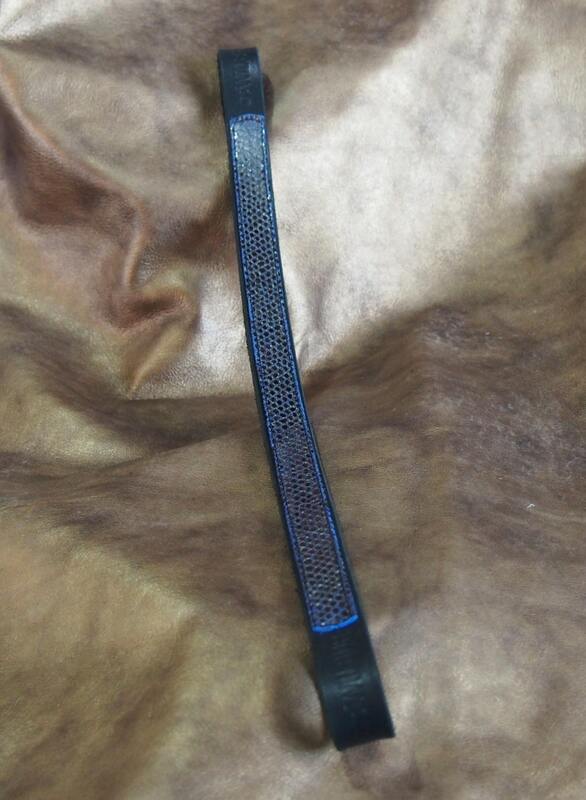 It is more suited to English tack, but can work with western, too--just a matter of color preference!